1. 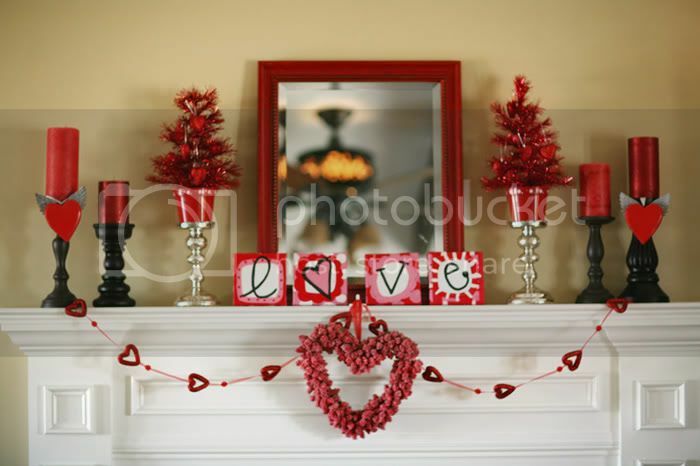 VALENTINES: Jessica@JessicaLeigh has the most gorgeous Valentine’s decorations. The picture below is just one of many. Eye candy all around on her site! Go check her out. 2. 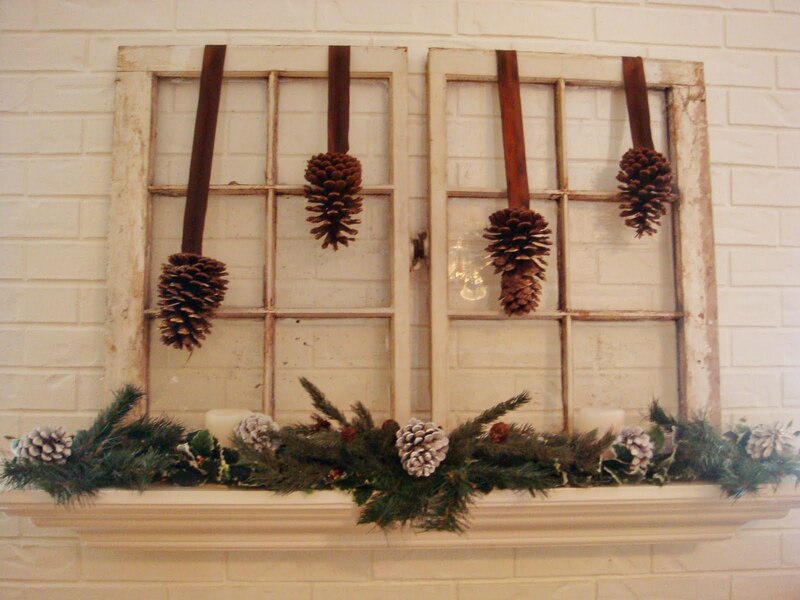 PINE CONES: I struggle with keeping my mantels simple. They are always busy and buzzing. Mrs. Little Big Nest@Little Big Nest has a knack for gorgeous simplicity. I love how she used these old windows! Kelly@Tidy Brown Wren used beautiful birds and vintage inspired frames with her beloved cones. And Cha Cha@Sit Relax and Read has this simplicity thing down. I love her use of the frame on the mirror to highlight the pine cones. 3. CELEBRATE WINTER: My mantel was a premature celebration of spring because winter is just not my thing. However, these creative ladies celebrate the season in style. Manuela@The Pleasures of Homemaking dishes the details on how to make that adorable banner. Mrs. Smith@The Smith Hotel knows what she’s doing. 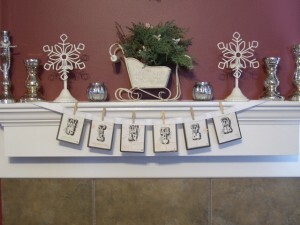 Check out her mantel redo below (and be sure to notice that cute winter banner on the mirror). Leanne@Organize and Decorate Everything celebrates winter in such a fun way that I’m almost excited to see snow. 4. ECLECTIC: Amy@All Things Home is brand new to us so go over, say hello, and tell her I sent you. Don’t you love those cute candlesticks? They have a story. Go find out what it is. Jen Jen@Tatertots and Jello was my inspiration for my mantelscape. I should have given her credit before, but honestly I didn’t realize that she was my inspiration until re-looking at her picture. Everything Jen does is amazing. I hope she’ll be joining us in upcoming weeks! Okay ladies…I could go on and on here but if I don’t stop all 20 projects will be highlighted. Get those mantels ready because McLinky will be ready to receive you at 10pm! See you then. Love these mantle's you featured. The Valentine's one was really nice! Awww, thanks Beth. I'm glad you liked my mantel. Wow, there's some creative ladies out there. I'm getting some great mantel ideas for the future. Thanks for the party! 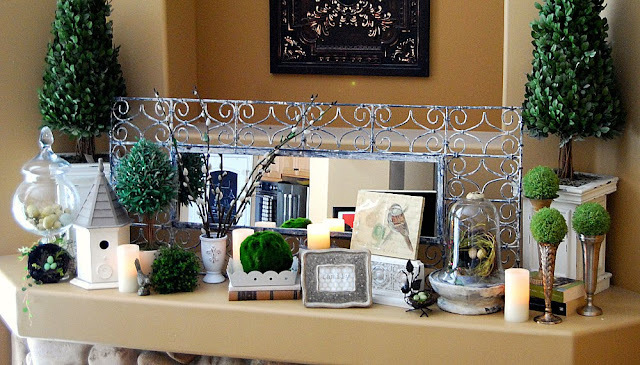 Ohhh…I just love your idea of having a Friday "Mantel Party"! I hope to join you next Friday…this caught my unawares! I really enjoyed seeing all of the beautiful mantelscapes!!! So many great ideas and so inspirational! I just started a file on my desktop…"Mantel Ideas" so that I could copy these photos to the file! Great ideas!!! Nice mantles. I don't have one and now I am feeling left out…LOL….nice job. It was such a fun party! Thanks for hosting!!! I am working on my Valentine's mantle. It probably won't be ready by tomorrow, but I will for sure check out everyone elses mantels. So fun!!! What wonderful eye candy. I have a somewhat more traditional style home, and I am always struggling with living room mantel which I don't like in the first place, so it's tough to get it looking like I want it to. I've never been happy with it, so I'll enjoy this event very much. Thanks for the tease, and I'm looking forward to the party!! Bring on the mantels! Thanks, Beth, for hosting such a great party. And, IT WAS MY FIRST! How fun for me!! You are one neat lady. This party was so much fun! I'm already thinking of new ideas for my next display. Thanks for the invitation. Hi Beth, I am loving this! I will be joining you this evening. Can't wait. Thank you so much for hosting. Dropping by from SITS to say, "hello". Best wishes in 2010. I so wish I had a mantel. Those pictures are so inspiring…maybe my mom will let me play with hers…. I like all these great ideas! I just don't even know where to start with mine. Keep the ideas coming!! Beth-Thanks for the roundup. I think this is such a good idea for a party. I am hoping to redo mine soon and love seeing new idea! Well, I guess I know what I'm doing after the day job today! : ) I love all the mantles you've highlighted, Beth, and some are new bloggers to me, so I am off to visit. Let's hope I come up with something decent to share! Thanks Beth! Glad you liked my mantel-took a few tries. I posted a link from my blog back to yours so everyone could check out all the cute mantels! Looking forward to this week's mantels! Beth I'm definitly going to join you soon for the mantel party as soon as I can. GREAT idea! I adore all the inspirationa and lovely photos. The mantel over my fireplace is being installed today!!! While it is going to be very slim and trim, I am sure that I can do something with it and join a future Mantel Party Review. After seeing these lovely mantels, I am feeling inspired and capable. Thanks, Ladies; and thank you, Beth, for hosting!